Pandurevic was charged with first degree murder; Pandurevic sought to claim that he had acted in self-defence. The homicide took place in 2010 and Pandurevic’s trial commenced on April 8, 2013. 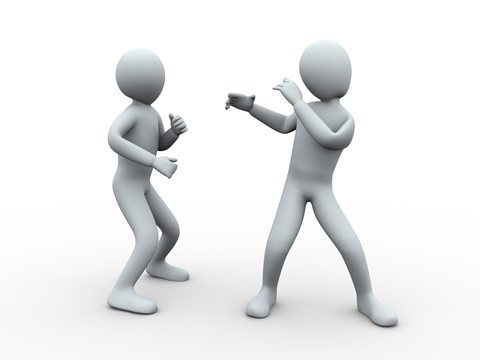 At the time of the offence the self-defence provisions found at sections 34-37 of the Criminal Code governed. On March 11, 2013 however, the Citizen’s Arrest and Self-Defence Act [hereafter the Act] came into force. This new legislation repealed the old self-defence provisions and replaced them with a ‘new’ s.34 which is intended to apply in all instances where self-defence is raised. Prior to the commencement of his trial Pandurevic brought an application for ‘directions from the court’ on whether the Act applied retrospectively. The Crown opposed the application. MacDonell J found that despite the presumption that such changes in the law apply prospectively, this Act applies retrospectively: 2013 ONSC 2978. First, MacDonell J noted that both the opinion of the judiciary and the academicians was aptly captured by, then professor now, Justice Paciocco who referred to ss.34-37 as “the most confusing tangle of sections known to law” [at para 16]. a simple, easy-to-apply rule for each defence. For decades criminal practitioners, the Canadian Bar Association, the Supreme Court of Canada, academics, and many others have criticized the law of self-defence primarily, but also the law of defence of property, as being written in an unnecessarily complex and confusing way. The complexity of the law is not without serious consequence. It can lead to charging decisions that fail to take into account the merits of the defences in particular situations. It can confuse juries, and it can give rise to unnecessary grounds of appeal, which cost the justice system valuable time and resources. The law should be clear and clearly understood by the public, the police, prosecutors, and the court. Bill C-26 meets those objectives. It makes the act more specific and simplifies it without sacrificing existing legal protections [para 18]. the new defences extract from the old provisions the common core elements of each defence, and codify those core elements in a single simple framework that is capable of assessing a defence claim in any situation. The new laws give effect to the defences' underlying principles in a more transparent way; they will facilitate jury instructions and allow decision-makers to come to conclusions more easily and simply. The intent of the new law is to simplify the legislative text itself, in order to facilitate the application of the fundamental principles of self-defence without substantively altering those principles [para 22]. When the provisions of the Citizen's Arrest and Self-defence Act are considered in the context of the circumstances leading up to and surrounding its enactment, it is plain that Parliament's aim was not to alter the essential nature of the defence of self-defence. The intention, rather, was to put an end to a situation that was an embarrassment to the rule of law. Parliament sought to substitute clarity and common sense for the incoherence, confusion and occasional absurdity that virtually every informed observer associated with the former statutory scheme, and to rid the administration of justice of the scandalous spectre of juries making decisions not because of the legal instructions they received but notwithstanding them. When the purpose of the legislation is characterized in this way, it points firmly toward an intention that upon the coming into force of the amendments, judges and juries would immediately begin to assess claims of self-defence under the amended provisions regardless of whether the allegedly defensive acts occurred before or after March 11, 2013. That is, it points toward a retrospective application of the amendments [paras 23-24]. (...) to apply the amendments prospectively only would frustrate the remedial aims of the legislation by leaving in place for several more years the significant mischief that Parliament manifestly meant to eradicate [para 43]. Gladue, who had been drinking, had just got into a lengthy argument with his wife. After about an hour, Gladue tried to kiss Buttons; who responded by biting Gladue’s upper lip, causing a minor bleeding. The fatal attack ensued. The Court found that there was room for some physical response to being bitten: “Pulling the dog away and even dropping it would have been fully justifiable in the circumstances (even if it injured the dog)” [para. 87]. However, once Gladue’s actions were fuelled by anger and a clear intent to cause injury, his conduct went beyond any lawful excuse: 2014 ABPC 45. Speaking in non-legal terms, one may well be the victim of a dog's ‘assault’ and have to act in ‘self-defence’. That these terms may be utilized colloquially, however, does not mean that they take on the character or legal force of their Criminal Code counterparts [para. 102]. The Court found support in this interpretation from the cases of R. v. Greeley,  N.J. No. 207 and R. v. Barr,  A.J. No. 1021. The owner of a pet dog who discovers that the dog suffers from a terminal illness would be justified in having the dog euthanized. Indeed, our society views that as a compassionate response to the dog's plight. The same cannot be said in the context of human beings, however. A parent who discovers that his child suffers from a terminal illness would not be justified in having the child euthanized. Our society would view that as murder.… The policy of our criminal law does not militate in favour of extending Criminal Code provisions relating to ‘Defence of Person’ to animals (or vice versa) for that reason [para. 105]. Similarly, a zookeeper would likely find a lawful excuse in shooting a grizzly bear that was approaching a human infant found within its enclosure. Applied to humans in the “self-defence” context, the same conduct would likely not be permissible: consider a prison guard shooting an inmate that was approaching an infant found within his cell. In further support of this dichotomy, the Court found that animals are “property”: the offence in question is found within Part XI of the Code, titled “Wilful and Forbidden Acts in Respect of Certain Property”. On April 3, 2010 Anthony Larose and his friend were waiting for a bus. Larose got angry and threw a rock through the glass of the bus shelter. Hanna, drunk, took issue with Larose and confronted him. A heated verbal exchange followed and Hanna sucker punched Larose in the nose. While on the ground Larose’s friend handed him a 20cm knife; armed, he got up and saw that Hanna had been joined by his friend Marshall. At his trial, Larose testified that the two men rushed him and he stabbed Hanna twice in the chest and once in the gut. Hanna and Marshall backed away. At some point during the fight the knife was knocked to the ground and Larose went to retrieve it, as he did so, Hanna and Marshall moved towards Larose ultimately rushing him. Larose lashed out striking Hanna in the face and slicing Marshall’s neck. Both men sustained life threatening injuries and Larose fled. At trial Larose argued that he had acted in self-defence. The trial judge found that there was no air of reality to Larose’s claim of self-defence and refused to leave it with the jury. The British Columbia Court of Appeal agreed with the trial judge: 2013 BCCA 12. Curt Dagenais shot and killed two police officers. He tried to kill another. He was convicted after trial of two counts of first-degree murder. He had alleged that he acted in self-defence. The jury clearly rejected this claim. He appealed. His appeal was dismissed: 2012 SKCA 103. Dagenais had been at his mother’s home and had been in a dispute with his family including his sister. He had swung her and then almost hit her when he drove away. He went to the RCMP detachment attempting to get his sister evicted from the home. The RCMP would not assist him. He was not happy. He told them “I am not not done with you guys yet”. Shortly thereafter his family called the RCMP to report what had happened. The RCMP decided they had grounds to arrest Dagenais and set out to do so. The RCMP learned that Dagenais was in his truck across from his mother’s home. Officers Cameron and Bourdages attended in a police truck. Officer Knopp attended in a separate cruiser. As they attempted to arrest Dagenais he fled. The police gave chase. The chase continued until Dagenais went down a trail into the woods. Officer Knopp, who was trailing into the chase came upon the scene. She saw the police truck had t-boned Dagenais’ truck. She then heard a bang and saw a hole in her windshield; she felt heat on the side of her face. She had been shot. Another shot struck her windshield. She saw Dagenais with a rifle. She returned fire. Dagenais fled the scene. Officers Bourdages and Cameron had both been shot in the head and killed. Cedric Forde killed Clive McNabb. He stabbed him. At trial he admitted he had done so. The question that was left for consideration by the jury, however, was whether he was justified in doing so. Forde alleged that he acted in self-defence when McNabb came at him on his property with a knife. In charging the jury on the claim of self-defence the trial judge noted that the jury should consider "the availability of other options for Cedric Forde to extricate him from the confrontation with Clive McNabb" [para 30]. Forde was convicted and appealed. On appeal he argued that the trial judge erred in charging the jury that retreat was a relevant consideration. The Ontario Court of Appeal agreed: R v Forde, 2011 ONCA 592. McNabb was the former spouse of Forde's common law partner. Both were also involved in drugs. On the date of killing McNabb had attended at Forde's place; he apparently had done so as he understood that Joe Grasso was there - Grasso owed McNabb some money for a drug debt. Ultimately McNabb ended up in Forde's bedroom and an argument ensued between he and Allamby (the common law partner of Forde). Forde then entered the bedroom and an argument ensued between them. McNabb came at Forde with a knife and Forde retrieved a knife from the closet and stabbed McNabb once. Forde was convicted of manslaughter by a jury. He appealed. Having regard to these authorities, I reject the Crown's position that while retreat from one’s own home is not a necessary element to claiming self-defence, it may nonetheless be a factor for the jury to consider. By giving an instruction along the lines the Crown suggests, the danger would always remain that the jury would all too quickly leap from the factor of retreat to the inference that there is no entitlement to self-defence. As the case law referred to above establishes, a jury is not entitled to consider whether an accused could have retreated from his or her own home in the face of an attack (or threatened attack) by an assailant in assessing the elements of self-defence under s. 34(2). [Emphasis added].